Included in this section are adjustable height beds (manual and electric). 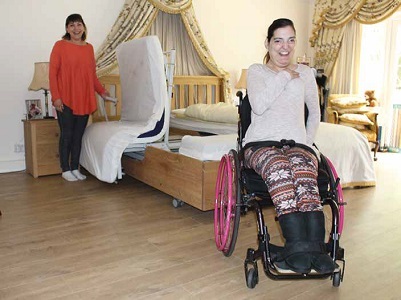 These beds allow users to select the most appropriate height for transfers, and carers to select the most appropriate height for assisting the user. You may also wish to view profiling adjustable height beds, of which there is a larger range. Care should be taken that there is no wall-mounted obstruction to prevent the bed from moving vertically or that nothing can get trapped underneath the bed when it is lowered. 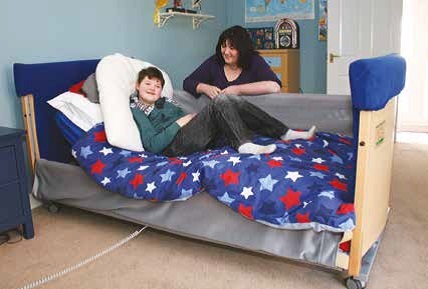 Many adjustable height beds do not stop automatically if there is an object underneath and there is a risk of entrapment. 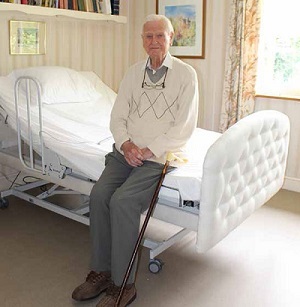 Manually operated beds usually have a hydraulic mechanism that raises and lowers the bed. The control is often a foot pump at the side of the bed or a winding handle. Both the pumping and winding action are hard work for the carer and the user can have quite a jerky ride. It cannot be operated by the user. If the bed is positioned against the wall, ensure that the pedal or handle is on the accessible side. Most electric beds can be controlled by the user. This means he/she can select the most suitable height for getting in and out of the bed, sometimes with little or no assistance. They are usually controlled with a handset, which may either have two separate switches, or a rocker switch. Other controls are possible, such as remote control or voice operated. Although powered by a motor, most are quiet or almost silent.